The lesser talked about Paint 3D may very well be what Microsoft will focus on, according to the Guardian. Since 1985, Microsoft’s Paint has been the go to for all simple computer illustrations. After all, you’re not going to crack open Photoshop to do a simple drawing. Microsoft released Paint 3D in an update in April. The Guardian says that Paint 3D is not an updated version of Paint but on Microsoft’s article “Announcing More Updates to Paint 3D: Magic Select Enhancements & Drawing Tools,” Lee Schuneman goes into detail about the latest updates to Paint 3D and how they improved it by adding elements from the original MS paint, based on feedback from their ‘fans.’ A feature called Magic Select, similar to a function in Photoshop, allows users to crop out the background of any picture. As Schuneman writes, this function would typically be used to lift a person out of an image to be used in another background, let’s say to create a fun image for the holidays. Another feature they mention is enhanced line and curve tools which make it easier to edit drawn images in Paint 3D. As the name implies, you can edit 3D images. The image above was edited in Paint 3D. 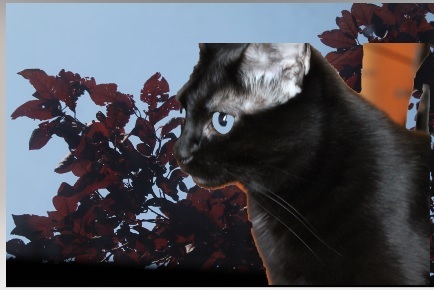 Bella here was originally from a different background. The Magic Select tool grabbed her off pretty well. Below, you can see the step by step lift of Bella from the first background to the new one. With a steady hand and using the add or delete buttons, you could get rid of the extra orange brown left over from the original image. Is Paint 3D exactly like Paint? No. However, it is a modern day version of the basic software. 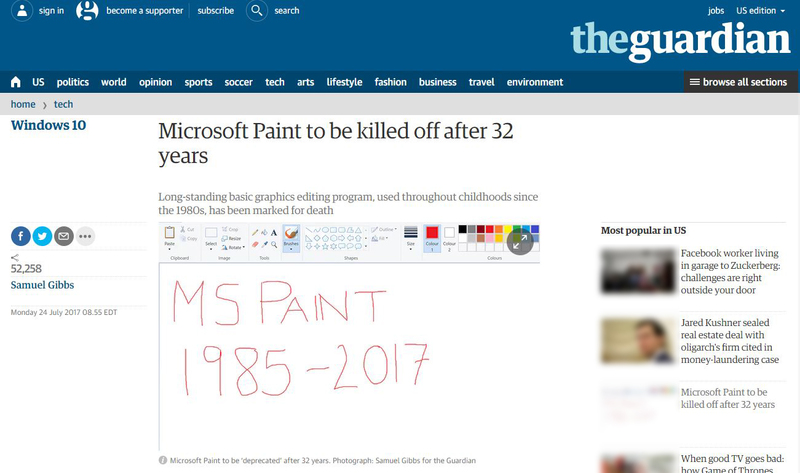 If MS Paint is taken away it will be forever missed and remembered by people who have used it, but for people looking for free and easy to use drawing and photo editing software, do not mourn for too long.